Regillio Nooitmeer was born in Rotterdam and started his career in the youth of Sparta in his home-town. He made his first team debut at FC Dordrecht in 2001. In 2004 he went abroad and played a few matches for Swiss FC Luzern. After a short spell with VfR Aalen (first half of 2005) and a trial at Helmond Sport Regillio Nooitmeer returned home and played for the Dutch amateurs of S.C. Neptunus Rotterdam. Nooitmeer did not stay long at Neptunus. In February 2007 he moved abroad again and signed for Galway United, an Irish Premier Division club. Odd detail: In 1986 Rob Jacobs was the head coach of FC Groningen when they smashed Galway United in the UEFA Cup first round. In 2006, Jacobs was the technical director of Dutch amateur side Neptunus. Nooitmeer decided to hang up his boots in September 2008. He was offered a contract at Drogheda United when his contract at Galway was expired. However he did not make the medical tests and was advised to retire from professional football and he returned to his former amateur club Neptunus. 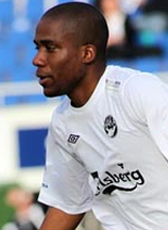 In 2010 he tried again a professional career and moved to FC Haka in Finland. At the end of the 2011 competition, Nooitmeer has left Finland. In January 2012 he was signed by Maltese club Birkirkara after leaving a good impression during his trial but injury restricted the defender to just one first-team start. Just within a month sources told a local Maltese newspaper that the Dutch defender looked somewhat unsettled and a fall-out with coach Paul Zammit is believed to have precipitated his exit from the club in February 2012. He returned home and went playing for the amateurs of Neptunus. In April 2013 he surprisingly returned to his former club in Finland signing a contract for the rest of the 2013 season at FC Haka. He continued at Haka in the 2014 season. For the second half of the 2014-15 season, Nooitmeer returned home signing for Topklasse club RKSV Leonidas. His club is currently playing on lower amateur level. As international he was called up for the Under21 team of Holland in 2003. Because of minimal chances to play for the first team, he decided to be available for the national team of Haïti. Nooitmeer is from Haïtian descent. In March 2008 he made his debut for the national team of Haïti in a match against Ecuador. His international career was cut short by the mis-diagnosed heart condition.